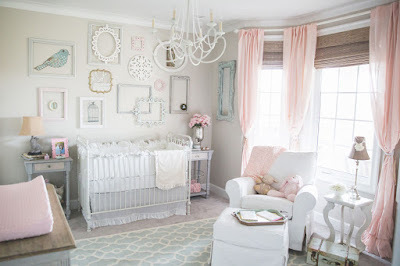 There is no need for parents to compromise on fashion and elegance when planning the right decor for the baby room. Plenty of ideas can be found on major outlets like Shop Mohd for example, with its vintage selection of Italian interior design furniture and accessories created by the best lines of designers in the world. Their artistic creations directed at the needs of toddlers and children offer an opportunity to reconcile contemporary and avant-garde fashion trends with a colourful and baby friendly decor that will also please adults in terms of style, and be in perfect harmony with the rest of the house. Hanging dolls and other decorative toys have always been in style, and no one will ever take away the tradition of the rocking horse, poufs or funny chairs. Wallpaper decorations of animals, flowers and cartoon characters are still en vogue- more than ever before thanks to the inventive and unique designs of these international brands. Toys like the Turn it Spinning Top Pencil and the Elephant Figurines, coupled with the Lego Storage Bricks, the Pinocchio Table Lamp, the Whale or Moon Rug, the Woouf Amp Red Pouf (shaped just like a guitar amp), the Prostoria Up Lift and B&B Italia UP Junior Armchairs, the elegantly colourful and modern design of Seletti Trip Trumou Chest of Drawers, and the Ferm Living Kid’s Tent are unique in the way they add a toy-like appearance to children furniture and essentials. Georg Jensen ‘Alfredo Aquamarine Toy figures’ set of 6 pieces, can make an exquisite addition to the playful atmosphere of the nursery, where they can be hung on walls or over the crib. The brightly-coloured selection of bouncy ‘Big Blo’ inflatable armchairs and sofas by Jeroen Van der Kant is another original idea for children that will also introduce them to adult fashion design trends; extremely lightweight and inspired by the Chesterfield models (so that they blend with the adult contemporary style of the rest of the home, and also add to its decor complementing the expensive furniture), they can be inflated easily with a portable pump, and can be carried anywhere: at the beach, in the garden, or wherever you choose to go on vacation. Most importantly, they are extremely durable and resistant since they’re made of PVC material with a protective nylon lining, so kids can bounce on it and play with it for as long as they like. The Blofield Donuts solid Table with Inflatable Chair (shaped like a doughnut) is another fun choice for both parents and children and will certainly make the parents want to spend more time in the nursery or baby room. Colourful Funny chairs like the Seletti Modular Chair, with 4 foldable panels and painted in yellow, red and blue will add an elegant touch of colour and its cartoonish design makes it a joy just to look at.